Christmas is a time to indulge in food and drink, enjoy one another’s company, relax and forget the year’s stresses. That is, unless you happen to be a footballer based in England, where we like to do that subversive, island nation thing of ours and turn the coldest time of year into the busiest. This season, the intensity of the Premier League festive season is turned up a notch further than usual by a total of eight direct face-offs between members of the current top nine – i.e. the realistic title and/or European place candidates – between the Sunday before Christmas and New Year’s Day. By far the most significant ought to be next Monday night’s meeting of first and third, as Chelsea make the trip to the Emirates Stadium. Those waiting to write off the chances of a first crown in a decade for Arsenal were given ample opportunity to sharpen their quills this past weekend, when Manchester City reaffirmed their status as outright favourites with a breathtakingly energetic 6-3 thrashing of the Gunners at Eastlands. But Arsène Wenger and his charges will be well advised not to press the panic button just yet – they still lead the way and, as such, what will be demanded over the second half of the campaign is not so much an improvement but essentially a maintenance of the level that they have shown so far. Whether or not they will be able to do so would appear to be a matter of managing resources. Wenger claimed before Saturday’s defeat that he did not envy the squad depth at Manuel Pellegrini’s disposal but must surely have reversed this view after the deliberate and relentless manner in which City ran at them for 90 minutes. Arsenal were understandably tired from an intense week that began with an exciting draw against Everton before defeat away at Napoli; the 2011/12 champions had been able to beat Bayern Munich despite resting their three best players – Yaya Toure, Vincent Kompany, and Sergio Agüero – then made fully eight changes to kick off the weekend fully fresh. Though the home form that has already seen City register 50 goals in all competitions may not remain quite this explosive, one might also anticipate a regression to the mean with regard to their disappointing away results. This would likely mean a higher overall yield of points per game and helps explain why they stand at close to even money with most bookmakers to wind up top in May. In order to stay ahead, Wenger could do with a couple of January purchases to ease the load on the 15 or so players who currently enjoy his absolute faith. It is hard to know what to make of the third big capital club, Tottenham Hotspur, after one heavy defeat too far triggered the sudden and ruthless dismissal of André Villas-Boas. Given that the greatest problem has come in reshaping the team after all the summer transfer activity, one might suggest that Daniel Levy and Franco Baldini, respectively chairman and technical director at White Hart Lane, are at least partly responsible for any crisis they may deem to have unfolded. AVB was tactically inflexible when the players he needed were unavailable, but he can point to a better win percentage than any Spurs manager since 1899. While their setbacks so far this term have been individually humiliating, they have at least been less common than at Manchester United – who just about remain on the conceivable fringes of the title race by little virtue other than simply being United. By far the most pleasing improvements of the season so far, in terms of both results and aesthetics, have been the two Merseyside rivals from either side of Stanley Park. Theoretically, neither should be candidates for the Premier League trophy, but while Everton suffer from a similar reliance on a small core of players to Arsenal, they exude Champions League quality to an extent never quite witnessed under David Moyes. Under Roberto Martínez, the overlapping full backs are a more potent threat than ever with Everton winning the ball higher up the pitch and moving it on more precisely. Luis Suárez, meanwhile, has gone a level beyond the form which persuaded this column to name him player of the season last season to enter the realms of all-time Premier League greats. The ability of the Uruguayan to dominate matches not only with the sheer regularity of his goals, but with their variety, affords Liverpool a confidence that has accelerated the advancement of the Brendan Rodgers blueprint. It is an environment in which the younger players can really enjoy their opportunities; Jordan Henderson is beginning to sparkle in midfield and may benefit from the absence of Steven Gerrard. There remains a certain unbalance to the squad, but if Suárez plus at least one of Daniel Sturridge and Philippe Coutinho stay fit (and at Anfield), then the longer the title picture remains uncertain, the higher the Reds can aim beyond merely challenging for the top four this term. This column will return in the New Year after a brief visit back to the United Kingdom. Merry Christmas and best wishes for 2014 to you all. It is the third Saturday before Christmas and the streets are packed with shoppers, but all is not merry at Old Trafford. Ever since that day in May when Sir Alex Ferguson shocked Manchester United supporters by announcing his retirement, the club has been in turmoil. The chill in the air is notable as the game kicks off. Shortly after the hour mark, a solitary crowd-silencer consigns the Red Devils to a 1-0 defeat against a side whose terrible form back in spring had seen them flirt with relegation. Unthinkably, this is their second home loss of the week. Fortunately for them, it doesn’t. Ryan Giggs returns to the starting eleven and hits top form over the festive period, netting three times in four days amidst a run of eight consecutive league wins which, incredibly, takes United top. They are not quite strong enough to hold off the best Arsenal team in years and end up having to settle for third, behind the Gunners and Liverpool, but against all odds squeeze out one more league title with the existing squad a year later before the serious rebuilding work begins. José Mourinho’s Chelsea then take advantage to dominate for a couple of seasons, but even they are ultimately blown out of the water by the new-look United. The latter’s return to pre-eminence is cemented with three straight Premier League crowns, plus victory against the Blues in the European Cup final a few months after the Portuguese’s dismissal. Of course, there is no way of telling how far history can continue to repeat itself 12 years on from that Saturday afternoon in December 2001, when a teenage Jermain Defoe scored the only goal for West Ham United at Old Trafford. This time, for example, Ferguson’s retirement was immediate and left no room for a quick about-turn. But this story does at least partly explain why David Moyes was applauded down the tunnel by the Stretford End after defeats against Everton and Newcastle United. There is no escaping the fact that Moyes’s first five months in Manchester have gone as badly as could have been imagined. At the same time, it has not hit depths beyond the imagination. Taken in isolation, not one of the individually poor results thus far would have been unheard of under Ferguson – who also suffered the odd derby thrashing plus first home defeats in decades to sides hitting form, like Bolton Wanderers and Middlesbrough. Yes, there is only one example that springs to mind from the last 20 years of such an incoherent United side recording quite so many setbacks, but that came in the 2001/02 season referred to above, when a dressing room both stronger and closer to its peak than at present was shaken by the mere suggestion – not execution – of their legendary gaffer’s retirement. But for all the vitriol that may fly about on Twitter, or in comments below the line on columns such as this, there is little chance that the vocal support at Old Trafford will shift away from an outward tone of sympathy and patience any time soon. When United chose to hire Moyes over Mourinho – who, according to reports in Spain, was literally waiting by the phone – it was to prioritise long-term stability over a higher guarantee of short-term glory. Stretford Enders old enough remember the 1980s – so not that old at all, really – accept that the only way this path can succeed is by sticking to it. For better or for worse, the Glazer family is not about to witness any public pressure pushing for managerial change in M16. That is not to say that fans are happy. Not even the most blinkered would have disagreed last week when Daniel Taylor of The Guardian tweeted, “#EFC have improved without [Moyes], #MUFC have deteriorated with him.” Most surely look upon Everton’s dynamic brand of football under Roberto Martinez with envy, too. The real danger here is if the Toffees carry on impressing until May. For, despite Moyes’s words to the contrary on Saturday, the Premier League title is no longer a likely objective for United this term. His primary objective now is to steer their ship into the safer waters of fourth place – such that they may embark on Champions League football, and not a harrowing test of Glazernomics, in 2014/15. I like football. And as many of my Twitter followers will have gathered – hopefully from information shared on Osakan breweries rather than anything tweeted in obvious drunkenness – I am rather fond of beer, too. So to attend a public viewing event at a bar in Tokyo last Sunday alongside my friends and Foot! colleagues, Cesare Polenghi and Sean Carroll, in the name of ‘work’ was pretty well the realisation of a lifelong fantasy. Would that I could make a living of doing that every day, for I should die very happy. Albeit, in all likelihood, pretty young. Watching matches down the pub has been part of British culture, to some extent, for as long as there have been televisions and football broadcasts thereon. But as with so much else, it properly exploded following the launch of the Premier League and the exclusive contract for live rights with Sky. Suddenly, there were loads more matches on the box but not many people, at first, had a satellite dish to receive them – thus creating demand for our equivalent of the sports bar. The new viewing experience undoubtedly helped fuel a virtuous cycle for those selling sports channel subscriptions or installing antennae, and come the late 1990s, more and more people were able to access more and more live matches from the comfort of their own homes. This then subverted the earlier phenomenon for the public houses, who now stood to lose business if the punters who might have shown up for a few pints on Sunday afternoons or weekday evenings chose to stay in their armchairs so they could watch the football. As such, normal pubs in major towns and rural villages alike began installing big screens or projectors to such a degree that it rendered any distinction with a separate ‘sports bar’ category virtually superfluous. Indeed, so common became the sound of the Sky Sports theme tunes in pubs nationwide that it drew the chagrin of people who don’t like football – I don’t know any personally, but I’m told they exist – and found their hopes for a quiet bitter of a Saturday lunchtime dashed by groups of rowdy Gooners. As a result, while places with televisions will typically display posters in their windows advertising which games are showing, others hoping to attract the disenfranchised trade sometimes even proudly proclaim that theirs is a ‘no football’ establishment. The first football match I clearly remember watching in a pub was England’s loss to Germany in the final game under the Twin Towers at the old Wembley in October 2000, during my first weekend as a student in Oxford. A fellow fresher, who hailed from neutral Belgium, was appalled at a small group of drunken middle-aged men who chanted “We hate Germans”, but I assured her it could have been a lot worse. Fortunately, the atmosphere was altogether more jubilant for the return fixture in Munich 11 months later, as a room packed like a Japanese train carriage in rush hour watched in disbelief at the sight of an actual goal at international level from Emile Heskey. Oh, and the fact that it rounded off a 5-1 scoreline for a victorious England. This latter venue, the Dew Drop Inn in the North Oxford suburb of Summertown, was frequented by the celebrated author Colin Dexter and served as a home from home for me during two years living in a nearby student flat. Aged 19, I not only didn’t have enough money for a Sky subscription, but even for as many pints of ale as there were live matches, so would generally try to circumvent the issue by ordering half a Coke and attempting to nurse it for 45 minutes – or even, near the end of term, the full 90. In hindsight, I wonder if the enforced thriftiness of teenagers like me wasn’t partly responsible for the fact that British pubs now tend to charge almost as much for soft drinks as they do for proper drinks. 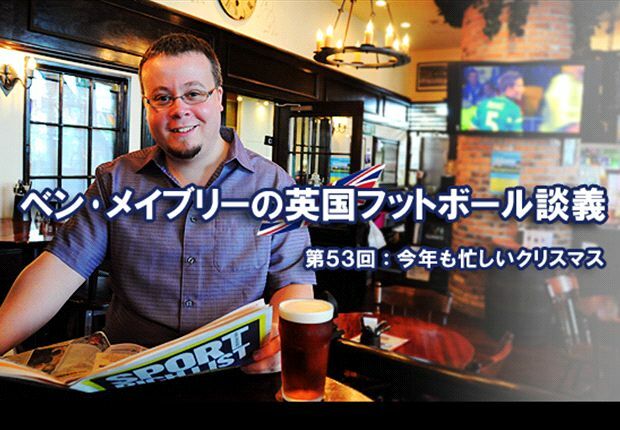 The most immediate difference one notices upon entering ‘British pubs’ or sports bars in Japan is the friendly omotenashi of staff who immediately try to seat you. Excluding the pubs who fancy themselves as restaurants (sadly all too many of late) and thus have a salad bar where the television would be anyway, this does not happen in the United Kingdom. You just sit where you like – or can. Back in the middle of town for my final year as a student, one would have to arrive a good hour in advance of a Champions League kickoff to guarantee a spare chair or barstool, and even then only if there were no more than two of you. Anything less than half an hour before the UEFA anthem played and they started wiggling around that logo banner over the centre circle, you’d be lucky to even find a place to stand in view of the screen. There are, of course, pubs in inner city areas that attract an aggressively partisan following and where one should thus be wary of cheering the ‘wrong’ team. Fortunately, these are very much in the minority, but even in friendlier venues and amongst actual friends there is an undercurrent of tension rarely observed in Japanese establishments. The important thing here is that vitriol be expressed in the direction of the screen; all eye contact with other punters supporting the opposite side should be avoided until the moment of in-game controversy has passed. This is where British fandom meets British reserve. Finally, there is one odd quirk whereby a match in the pub back home offers a tacit exemption to the gentleman’s code. As all men know, it is strictly forbidden to engage in conversation at the urinals, especially with a stranger. However, the ban is lifted at approximately 8.32pm on midweek football nights, when the half time whistle blows and a queue forms at the male toilets to break the seal after three or four pints enjoyed thus far. With sufficient inebriation and one obvious subject to talk about, we suddenly enjoy carte blanche. On a good night, the discussion will take on a sort of rolling effect, whereby one participant zips up and the next user simply carries on talking where they had left off. Thank you very much indeed to the proprietors and staff at Dining & Bar ESTADIO in Shibuya, and to all the brilliant Tottenham Hotspur, Manchester United, and Foot! fans who came along to our event for reminding me that football with great company and beer, rather than notebook and pen, really do go very well together.